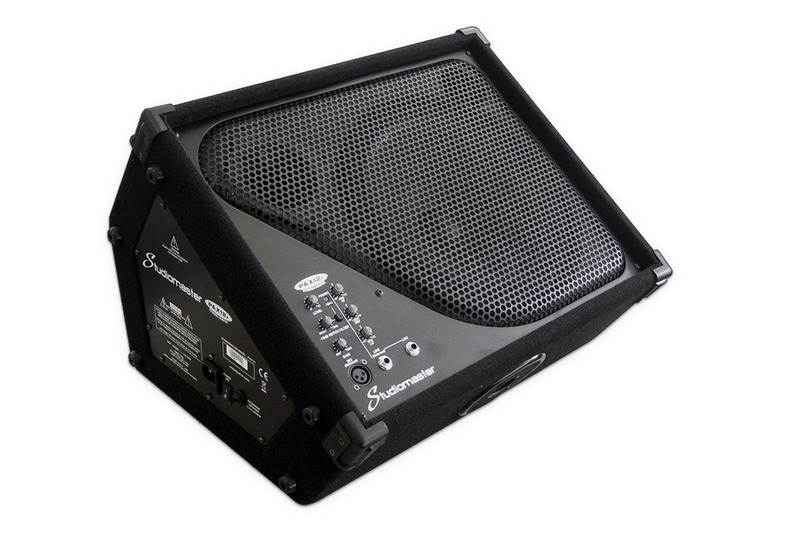 The PAX and PX series are small footprint, black carpeted stage monitors, perfectly angled to be aimed at the performer, keeping sound focused and reducing sound picked up by the microphones on stage. 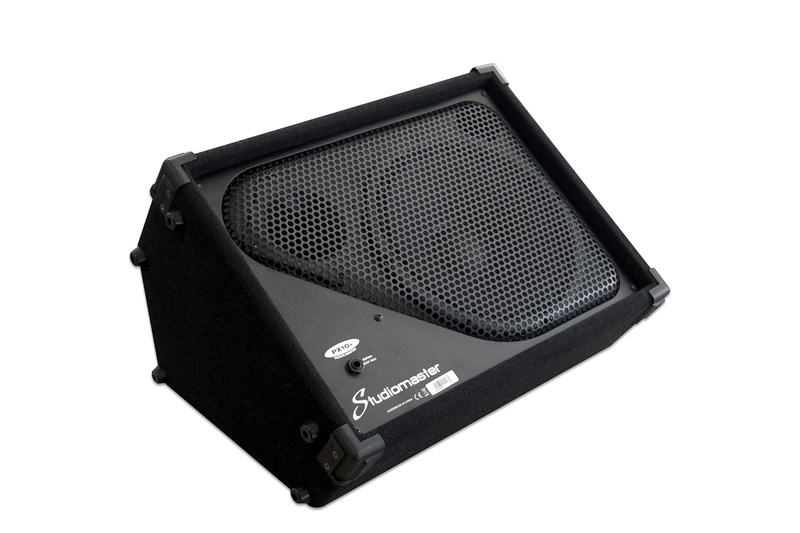 Available in 4 variations, 10″ and 12″ active, and 10″ and 12″ passive. 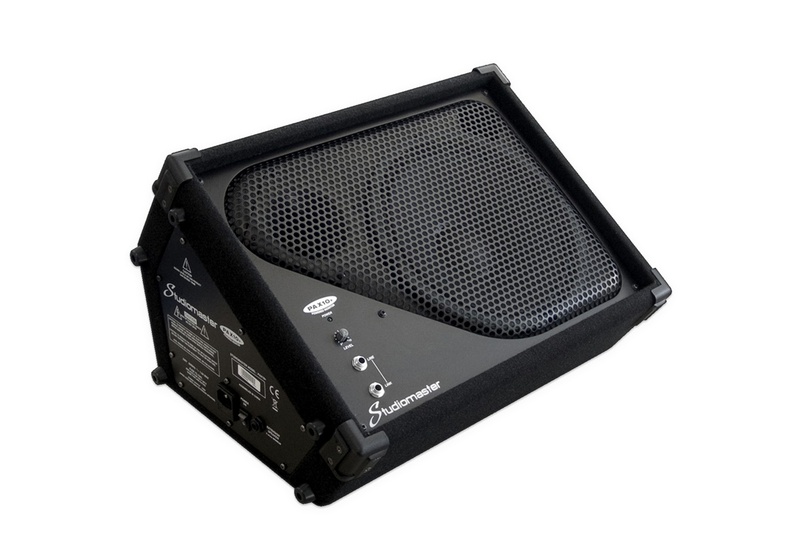 The PAX10 features a balanced Jack input and the PAX12 has both balanced Jack and XLR inputs, both models feature a link output to allow multiple PX/PAX monitors to be connected from one signal source. 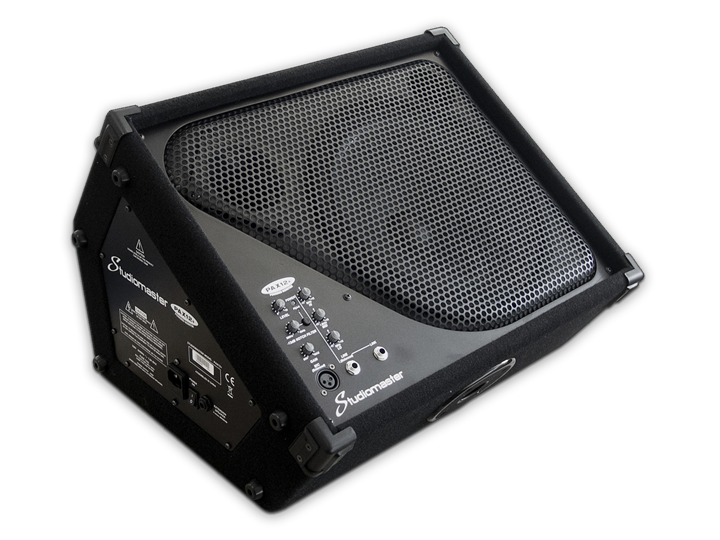 The PAX12 benefits from a useful 3-Band EQ for extra control, gain and level controls and finally a variable active notch filter, which affects a narrow band of sound, allowing you to pick out any feedback frequency and run your monitor system louder. All models feature a robust steel front grille and heavy duty corner pieces all help the PAX/PX series stand up to life on the road. 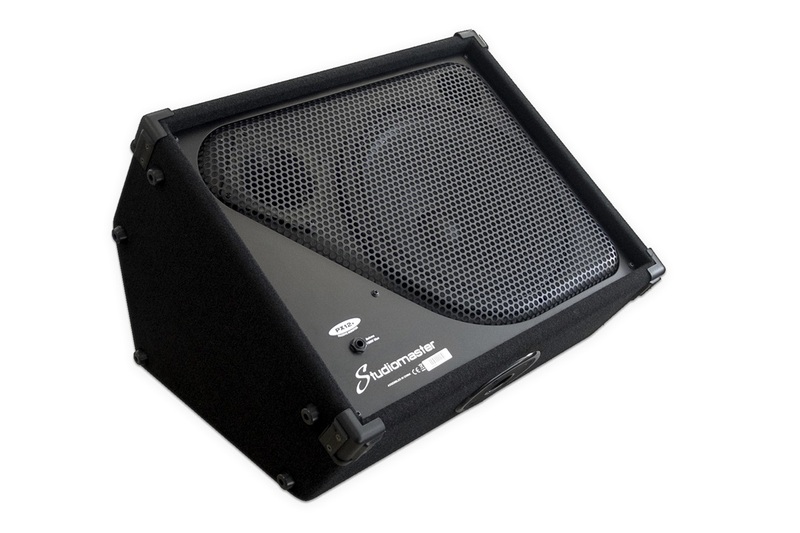 The ideal, hard wearing, robust stage monitoring solution.